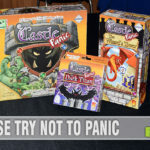 Over the past couple of weeks, we’ve provided a variety of gift suggestions including puzzles as gifts for all ages, a list of games for the family, card games of various themes, stocking stuffer gift ideas, games to get teens and adults together at the table, games little kids could play and even one guide that’s all about dice games. 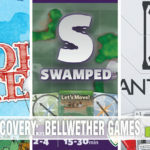 While we provide some non-game ideas in these guides, there’s been no shortage of suggestions that put an emphasis on games because we feel so strongly about them. We encourage families to use games as an opportunity to bond, socialize and get offline but they also provide an educational aspect to them. 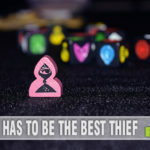 Games help people learn to win (and lose) with grace, encourage interpersonal engagement and teach a whole host of subject matter. 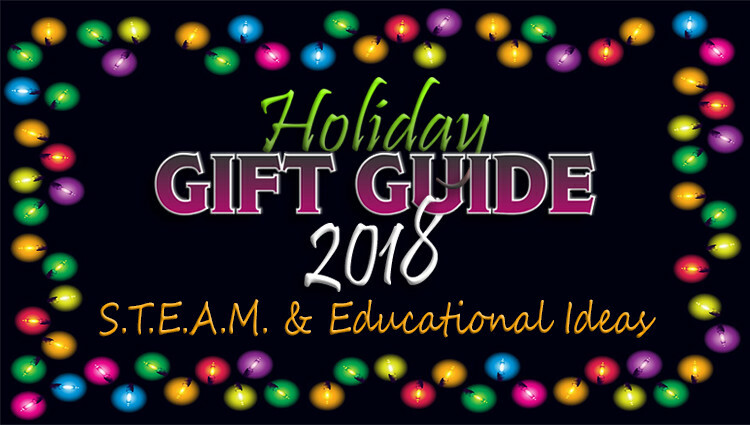 This “edutainment” approach to learning was the inspiration for our article about sneaky education using games and ultimately the basis for this gift guide filled with educational games, kits and toys. Below, you’ll find ideas that teach about science, art, history, geography and more. You should be able to check something off your shopping list with these ideas! 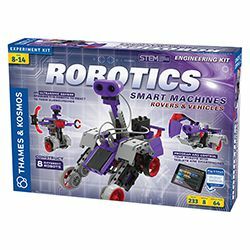 A follow-up to the best-selling original Robotics: Smart Machines kit, this version focuses on wheeled robots. This kit also gives kids a simple, fun, and customizable introduction to robotics that lets them build eight motorized machines controlled by programs and an ultrasound sensor. Kids code the programs using an easy, visual programming app on a tablet or smartphone. Build a shy turtle that drives around and quickly avoids obstacles in its path. Experiment with altering the program of your sassy dancing robot so that it dances to the beat of a song. A slick helicopter model spins its rotors and then raises its landing gear when you lift it off the tabletop. 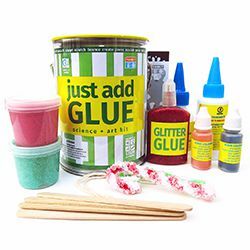 Griddly Games, Inc. is sweetening its science activity craft line with the new Just Add Sugar kit. It’s the latest “ingredient” to be “added” to the company’s successful Just Add ______ product line. 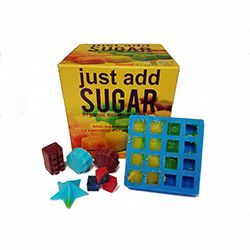 Just Add Sugar is the exciting new science activity kit that is a sweet way for science to be even more fun. Like all of the Just Add kits from Griddly Games, this kit comes with everything you need except for the adding ingredient. This time, add your own sugar for multiple organic chemical experiments and art activities. Enjoy making homemade candy, of course, and don’t forget to clean up with your new homemade sugar-inspired soap! 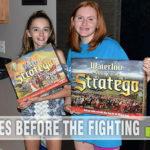 Unlock the fun of learning for your kids by letting them travel the United States learning the state capitals and flags. Take your unique airplane and travel the states, collecting knowledge and cards that will let you win the game! Included in the box is one giant United States Map board, 50 State Capital and State Flag Cards, scorepads, two 6-sided dice, two 6-sided Special Effects dice, and 6 custom airplane player figures. Learn about reactions between solids, liquids, and gases. Discover the colorful effects of acids and bases. Perform astonishing “magic” tricks for your friends. Make fizzy and foamy reactions. Write messages with invisible ink. Investigate metals and salts in electrochemical experiments with a 9-volt battery! Learn for yourself how chemistry goes far beyond textbooks and laboratories to explain occurrences that happen around us every day. 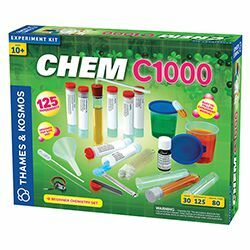 You can get even more into chemistry with more advanced kits (C1000 and C2000) that give you more advanced hands-on chemistry experiments with metals, soaps, and more! 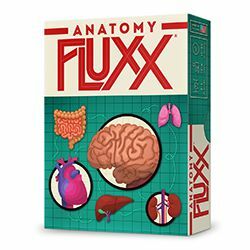 Anatomy Fluxx is the newest addition to our education line and takes you deep into the human body. From Bones to Blood Vessels, Anatomy Fluxx is packed with all the body bits that keep you ticking. But be on the lookout for Virus, Mutation, and Bacteria Creepers! Plus, two Learning Rules will get your Brain in gear with anatomical trivia. Anatomy Fluxx – for external use only! Construct a 3D night light for your room. 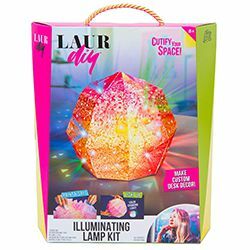 Paint the globe with water color paints in the LaurDIY colors and use a salt technique to create a cool texture on the globe. The color changing light radiates through the small triangles to leave an awesome design on the wall. 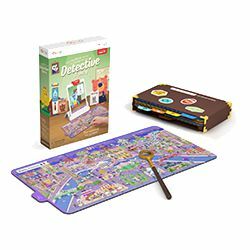 Detective Agency is a first-of-its-kind, hands-on experience that takes budding sleuths on globe-trotting adventures to solve mysteries. It also stimulates their curiosity about the world. With this game, Osmo also introduces a platform that allows parents to monitor time played and view the skills learned on the Osmo system. 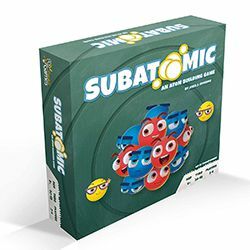 Demystify abstract physics phenomena such as light, sound, and heat like never before with this highly innovative, gamified sensor physics lab that brings physics to life! 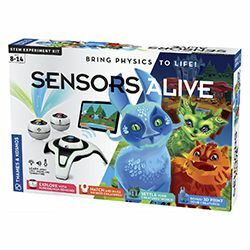 The core of this science kit is an app-based video game in which you use real-world sensor data that you collect from your environment to generate a diverse array of creatures. Create, collect, play with and care for your creatures in the app. You will gain experience in measuring light levels, volumes, and temperatures with the three sensor pods, and learn about the physics behind light, sound, and heat. Sensors Alive works with a tablet or smartphone operating on recent versions of iOS and Android. 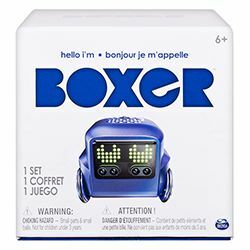 Boxer is an interactive robot with a lively personality with dynamic moods that evolve over time. He has tons of play right out of the box as well as a lot of awesome tech features including multiple IR sensors, internal rechargeable battery, touch sensors and so much more! Discover the animal kingdom with the HyPar Giraffe kit! This kit is great for intermediate or advanced builders. 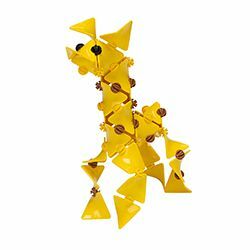 The Giraffe comes with enough parts to make many of our other kits as well as any creations your imagination comes up with! Kids will love putting this animal kit together and parents will love watching their kids imagination and creativity grow! In this story-based STEM kit, Pepper Mint visits her aunt who is a scientist researching primates. She lives in a treehouse in the rainforest on the island of Borneo. 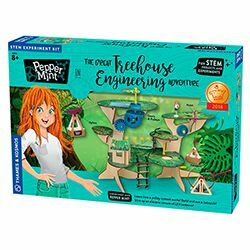 The treehouse is not connected to the electrical power grid, but Pepper Mint and her aunt devise mechanical inventions to accomplish various tasks. They equip the treehouse with mechanical equipment using pulleys, winches, and gears, and learn lessons in physics. Projects include a rope ladder, a pulley to lift heavy objects into the treehouse, a rubber band-powered lift, a rotating palm leaf umbrella, a zipline, a catapult, and a trap door. Some of these ideas will also be showing up in our Mega Giveaway so keep watch for ones that might interest you. Also keep watch for more great gift ideas coming soon! 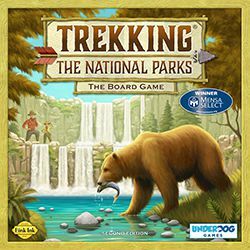 My boys would love the robotics set and the National Parks game! Thanks for the gift ideas! My niece would love that Just Add Sugar. My nephew – the robotics kit would be perfect for him! Thanks for the suggestions. I can see my kids playing with a lot of those. 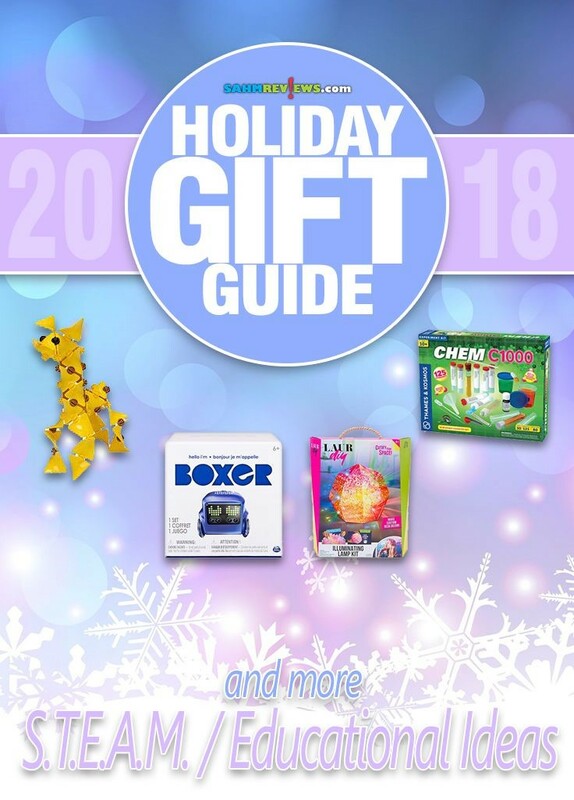 They specifically have Boxer on their wish lists. I love these ideas so much! Any time I can combine learning with fun, it’s a winner. That’s the combo that gets kids excited about learning for a lifetime. Oh these are such helpful recommendations. I have a lot of little nieces and nephews that would love some new educational activities. These are great gift ideas! I love getting gifts for my kids that are fun and educational. I love watching them learn while having a great time! I love toys and games that are not only fun but educational too. I think my son would enjoy the Robotics or the Sensors Alive. OMG! How many interesting kid’s sets. My child will be happy to try all of them! We will begin with Just add sugar! Keys to the Captals looks pretty neat. My son is sixand many of these are right up his alley! So many awesome ideas! My kids really love all things STEM, it’s top of our shopping list this year! These ones are all like intentionally educational, but even non-education directed games teach a lot of other skills: Professional behavior, reading, counting, math, planning ahead and organization. It’s one of the reasons why I’ll always be playing games with my kids! They’re good for the brain! 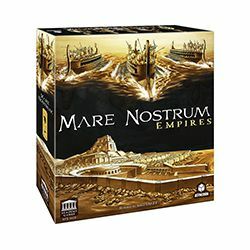 So many interesting games, however, as a fan of ancient civilizations, the most intriguing game to me is Mare Nostrum: Empires Game.